As Christmas is just around the corner the chances are that there are going to be a few snacking moments over the season when you want a big bowl of tortilla chips and a dip and to watch a film. 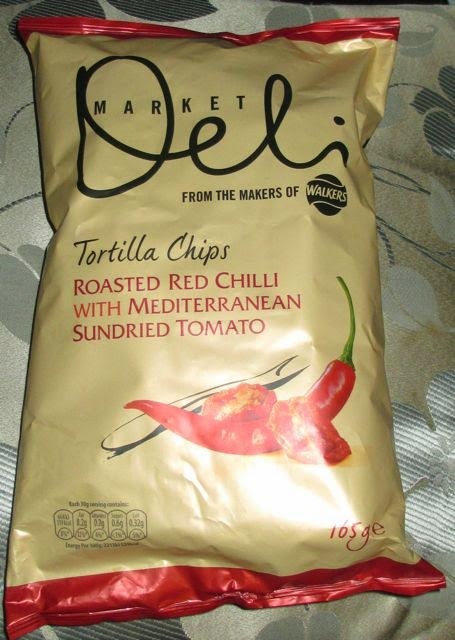 These new ones are from the makers of Walkers, and have some interesting varieties, we decided to start off with the Roasted Red Chilli with Mediterranean Sundried Tomato. 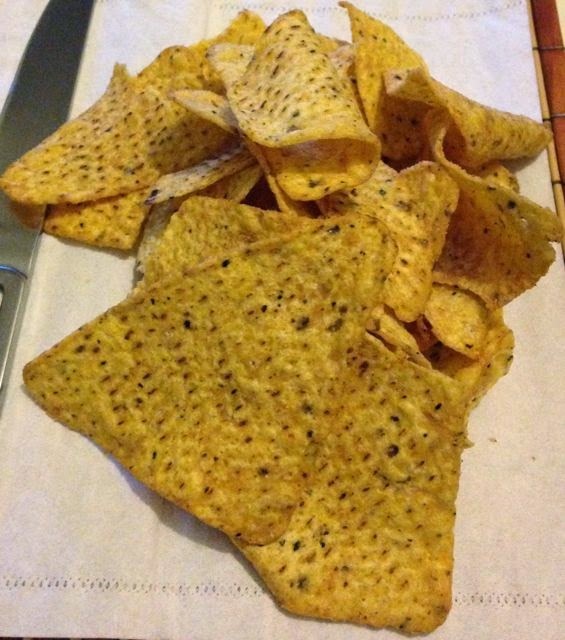 The tortilla chips are large triangular shapes, although some are curled over these are still the perfect size for scooping up a dip. My favourite is a supermarket own Tzatziki, now I know being Greek you wouldn’t think it would match up with tortilla chips, but personally I’d favour it higher than Guacamole any day. Anyway the flavour of these tortilla chips was tasty but subtle. I liked how the base flavour came through well, the corn taste was wholesome and satisfying and they had a good crunch. The seasoning wasn’t as strong as I’d have liked. I think they pictured the scene of people sharing these with friends and didn’t want them hot enough to put anyone off, but I thought they were a little too mild for a product labelled as chilli. It was just a gentle tang. The tomato hint was nice though and did make them easy eating. 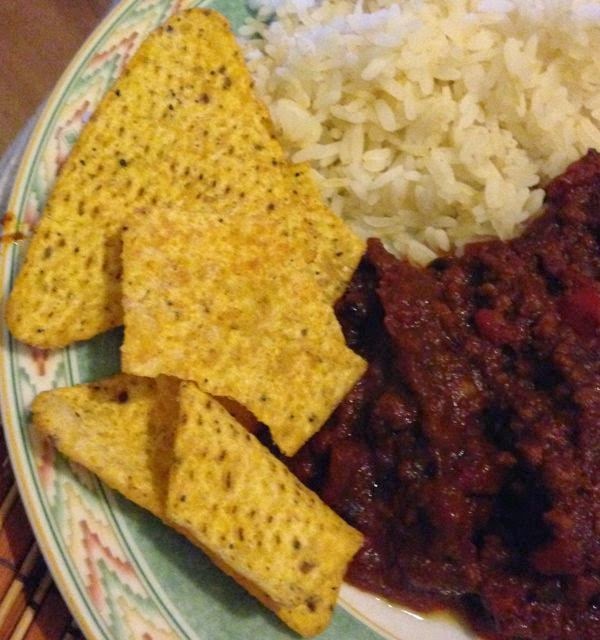 Of course these also work really well served as a side with chilli con carne, and used to mop up some sour cream dip to cool the heat of the chilli. Many thanks to Walkers for sending over the crisps in return for an honest review.